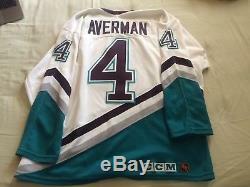 D2 The Mighty Ducks 1994 Screen used Mighty Ducks Lester Averman Movie jersey worn / used in the second film. 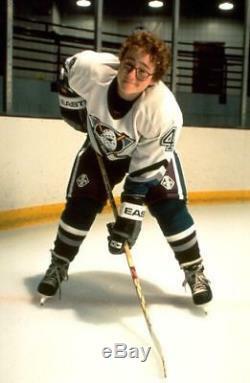 Jersey was used by Averman (who was played by Matt Doherty) during the Third Period against Team Iceland. 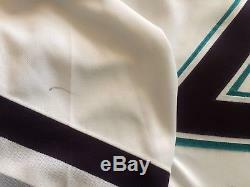 Jersey comes with a COA from East of Hollywood Movie Collectibles. Unfortunately , they replaced the original studio COA with their own. 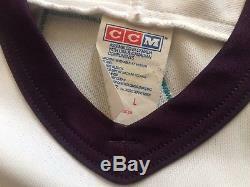 So the jersey DOES NOT come with the original Sports Robe COA. 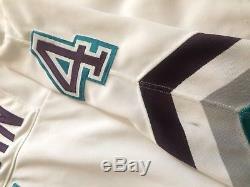 Jersey has wear on it. 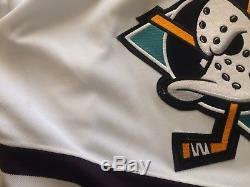 Several stains and various marks on it due to movie usage. 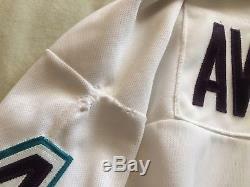 Left Shoulder has a sewn repair. 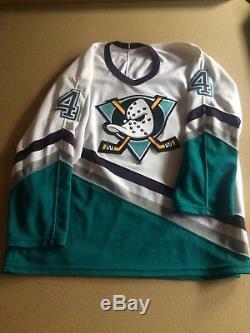 Jersey is a size Large. Feel free to ask any questions!! PLEASE FEEL FREE TO MAKE AN OFFER.... 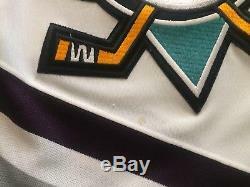 The item "D2 The Mighty Ducks 1994 Averman Screen used Ducks Movie Jersey Disney Prop" is in sale since Thursday, January 25, 2018.